Smaart Di v.2 (Dual-Channel Interface) is a simplified, streamlined, two channel version of the standard Smaart analysis software. Smaart Di's fixed, two channel architecture provides a nimble, quickly adaptable measurement environment, with all critical configuration and control parameters accessible from a single intuitive UI (user interface); perfect for quick and precise measurements without the demands of the standard version's multi-measurement, multi-mode complexity. While Smaart Di can access multichannel devices, it is designed to control and display only two standard Spectrum engines at any given time. Phase, Magnitude and Coherence Plots. MTW (Multi-Time-Window) FFT provides better than 48th octave resolution from 60Hz up and 1Hz resolution up to 140 Hz. Coherence weighted stored data averaging. Delay Tracking automatically measures and adjusts TF delay for every measurement cycle. Access any 2 connected inputs at a time. For a large percentage of Smaart users, the capabilities and feature set of Smaart Di encompass virtually everything needed from Smaart as a tool. The RTA, Spectrograph, Transfer Function (Magnitude, Phase and Coherence) and delay/live Impulse Response measurements in Di provide all the measurement capabilities and power needed on a day-to-day basis. In many circumstances, a measurement setup need only be a straightforward, simple, two-channel configuration using only one microphone and making only one Transfer Function measurement at a time. Because Di can be quickly configured and everything can be controlled or monitored from the top level of the GUI, it is a quick and easy go-to tool for both experienced Smaart users as well as beginners. In order to maintain easy portability and interchangeability between both Smaart Di and Smaart v8, both versions use the exact same RTA and Transfer Function data formats. Moreover, Di and v8 share the same control and command structure (view controls, zooms, hot-keys, data capture commands, etc.) so moving back and forth between versions does not require learning a whole new control and command paradigm. Smaart Di's Control Bar provides a one-stop-shop for measurement configuration and control parameters. The Spectrum engines are auto-assigned to the first two inputs of the selected audio interface in the Input Device drop-down. The first Spectrum engine is fixed to the Measurement input for the default TF pair, with the second Spectrum input as the Reference input. As an added bonus, any devices which Smaart can control will have their gain and phantom power controls integrated directly into Smaart Di's interface. If you have a multi-channel device, changing the first Spectrum will reassign the Measurement input for the TF Pair. Smaart Di v2 utilizes the same exact data handling system as found in the standard version. Pinned to the top of the Data bar, the Session Folder serves as the target location for all new captured data. 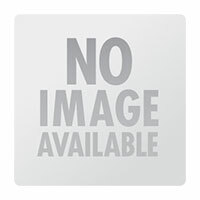 Automatically named with the current date when created, the Session Folder may be re-named or swapped out at any time. The global program data bar keeps all of your data organized and at your fingertips with nested folders and convenient options such as "New Folder From Selection" or the ability to quickly average selected stored traces of the same type via right select > "Average". The increased popularity of tablet/touch screen computers complicates the use of its various hot-key commands. To address this, Smaart Di utilizes a command menu and user-configurable command bar with large touch friendly buttons that can be used to call any of Smaart's keyboard-based, hot-key commands. Smaart�s integrated API allows any copy of Smaart Di v2 to act as a host to any other copy of Smaart Di v2, meaning you can create a rig with one computer acquiring input signals and performing the measurement computations, while another acts as a client and remotely accesses the measurement data. This capability then allows your Di environment to be spread across multiple computers. Smaart v8 or Smaart Di? If you need to monitor SPL, Leq or control more than 2 input signals at a time. Smaart Di only supports input monitoring and control for 2 inputs at a time. If you need to make multiple simultaneous Transfer Function measurements; in other words, if you need to be able to view two live TF engines at the same time, or live averages of those Transfer Function measurements. Smaart DI only has the ability to measure one Transfer Function at a time. 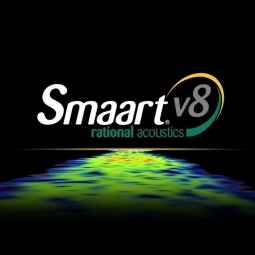 If you need to make advanced acoustic measurements, examine reverb times and structure, or calculate specific intelligibility criterion (like STI, Clarity, T60, etc), then you need Smaart v8. Those capabilities reside in Smaart v8�s Impulse Response Mode, and are wholly omitted from Smaart Di.